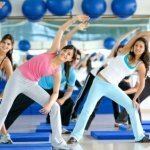 We provide you with calories for the different serving sizes, Persimmon nutrition facts and the Persimmon benefits to help you to eat a healthy diet and lose weight. 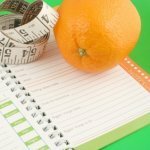 So, how many calories in a Persimmon? Calories in a Persimmon are relatively low in comparison to sweets. There are about 118 calories in a Persimmon. The fruit sugar content level in Persimmon is about 13% and contributes to the sense of sweetness in the fruit which is considered an excellent source of immediate energy. It is a good substitute for sweets when you are in need for something, well, sweet! The Persimmon fruit can be eaten sliced or whole and is a convenient healthy snack on the go. 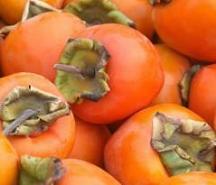 As well as having a great taste, the numerous nutritional and health benefits of Persimmon make it the national fruit of Japan, and, along with Mandarin, Oranges and Apples, one of the most widely eaten. The Japanese variety has fewer calories. Read more about Persimmon nutrition facts. Persimmon is also known as Sharon Fruit named after the Sharon plain in Israel; also it is the trade name for Japanese Persimmon (Diospyros kaki) fruit. Also, compare Persimmon calories to the other fruits.